Why Plant a New Church in the City? The vigorous, continual planting of new congregations is the single most crucial strategy for 1) the numerical growth of the Body of Christ in any city, and 2) the continual corporate renewal and revival of the existing churches in a city. Nothing else–not crusades, outreach programs, para-church ministries, growing mega-churches, congregational consulting, nor church renewal processes–will have the consistent impact of dynamic, extensive church planting. This is an eyebrow raising statement. But to those who have done any study at all, it is not even controversial. Why plant (i.e. start) a new church in a city already filled with many other churches, some even growing? Why not focus instead on helping existing churches grow? Won’t starting a new church merely take people away from other churches? Shouldn’t we focus on cultivating better churches, rather than adding churches? These are valid concerns that stem from a fundamental misunderstanding of the complexities of revitalization, organizational life-cycles, demographic diversity, theological distinctions, leadership styles, evangelism, and general philosophies of ministry within existing churches. To put it simply, it’s more complicated than we may at first realize. Therefore, to simplify it a bit, the following are seven guiding principles driving us to plant a new church in the heart of the city of Seattle. #1. Jesus’ fundamental call was to plant Gospel-centered churches. #2. More people are reached through more Gospel-centered churches. Statistics show that the more churches there are that preach and practice the Gospel, the more people there will be who are reached with the Gospel. The opposite is also true; fewer Gospel-centered churches results in fewer people changed by the gospel. In other words, the more new churches that are planted, the more new people there will be who are reached with the gospel. Keller argues that if churches over 10-15 years of age gain 80-90% of new members by transfer growth and the majority of churches in any given context fall into that category, the number of active Christian churchgoers will be shrinking even if some of those churches are doubling in attendance. In this scenario, which is the case in Seattle, the church growth in existing churches only helps to offset the normal declines of the older churches. Ground is still lost. #3. Newer churches reach more people than older churches. Not only do more Gospel-centered churches reach more people; newer churches reach more people than older churches. #4. Big churches are not always the most effective. It is easy to assume that larger churches are more effective than smaller churches. Though that is true in some areas, it is not true in all areas. Additionally, Seattle is a paradoxical, independent and slightly-anarchist city. We love coffee, but prefer independent coffee shops. We love music, particularly of the independent, home-grown variety. We like creativity and innovation, as long as it was done out of a garage and not a high-rise. We don’t take well to “the man” – no matter what form he (she?) comes in. Big churches in Seattle can be viewed in the same way. Though big churches have their niches, Seattle is a city of independent, distinctive neighborhoods, each calling for an independent, distinctive, local gospel expression. #5. Planting new churches is often more effective than church revitalization. Whatever you call it – replanting, revitalizing, or rejuvenating – helping to save plateauted, declining or dead churches is next to impossible. #6. There is a great need in our city. Amidst the beauty, creativity, ingenuity, and passion of Seattlites less than 4% of the nearly 600,000 people here identify themselves Bible-believing evangelical Christians. The Northwest has been described as the “None Zone” because it is home to the nations highest density of people who say they have no religion, including atheists & agnostics, making sense of Seattle’s ranking as fourth least churched city in the country. In 2008 Forbes magazine gave Seattle the dubious national rankings of 3rd Greediest City (4th, 11th, and 16th richest Americans call Seattle home), 4th Most Lustful City (124% more sales of contraceptives than the national average), and 4th Most Envious City (crime). The majority of large evangelical churches have either left the city, are located outside the city or import their Sunday message via video. 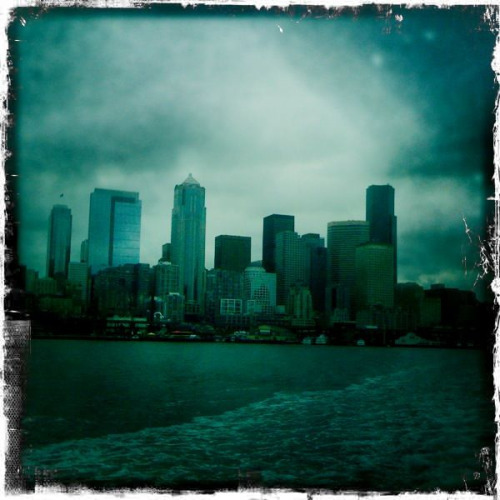 To the average Seattlite, evangelical protestantism is invisible. #7 God has made it clear to us. After years of prayer, counsel and consideration, Jen and I believe that Jesus has called us to plant a new church in the heart of the city. So, we’re that’s what we’re doing. We’d love to have you join us.